A year long activity and a regular part of the curriculum three or four times a week. 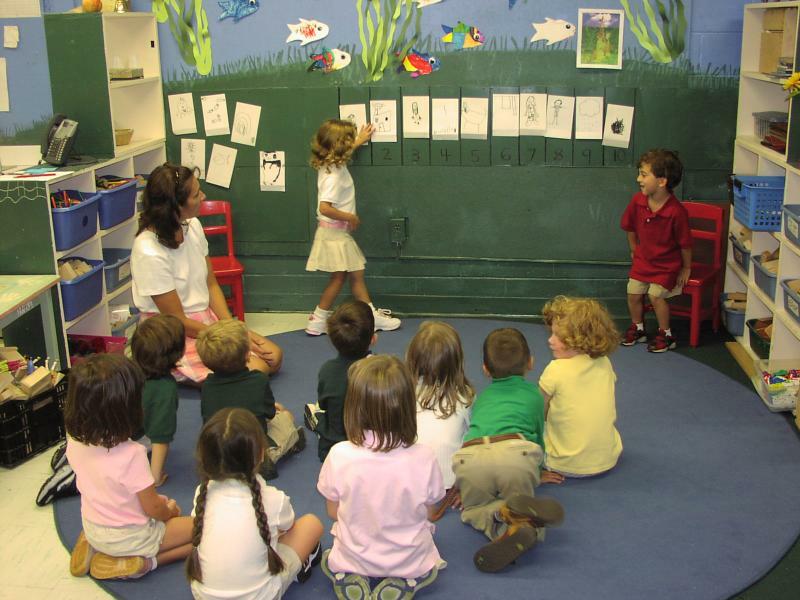 With the teacher’s help, two children cooperate to compose an original story and tell the story to the rest of the class. The class listens attentively. Courtesy is vital. Being a good listener is one way to get picked to be the next story teller. APPLAUSE everyone must clap to acknowledge the story teller's efforts and the clapping is enough to motivate everyone to join in. After the story, there are four questions from the audience for the story tellers. 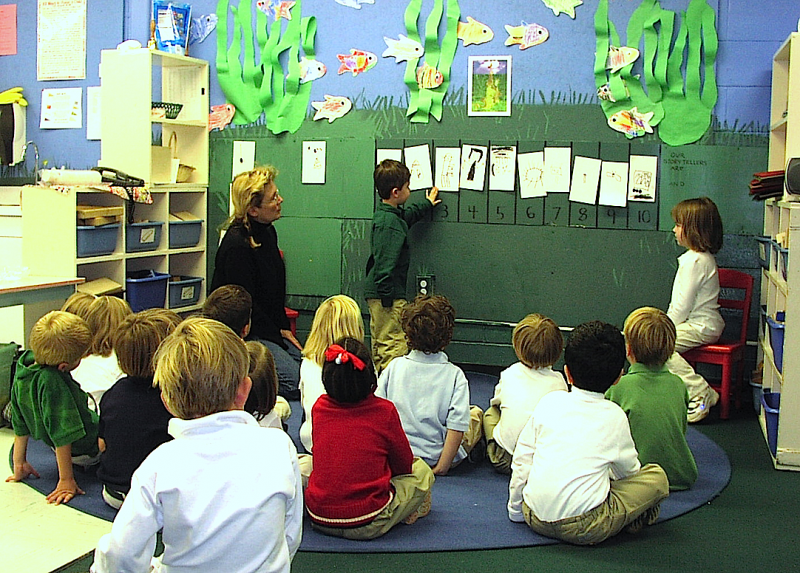 The questions must be related to the story and the story tellers are responsible for giving appropriate answers. After the questions there is more applause from the audience. 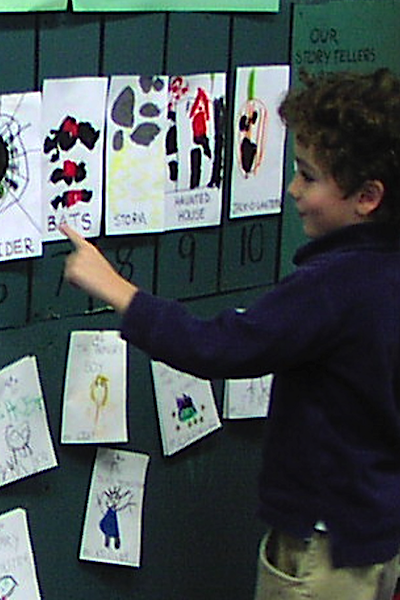 Children experience what makes a logical and entertaining story by experience with the audience. There is no criticism except for helpful advice from the teacher. In addition it is a great way to arrange social and working partnerships. After two weeks of purely voluntary participation even the most hesitant students are up in front telling stories!